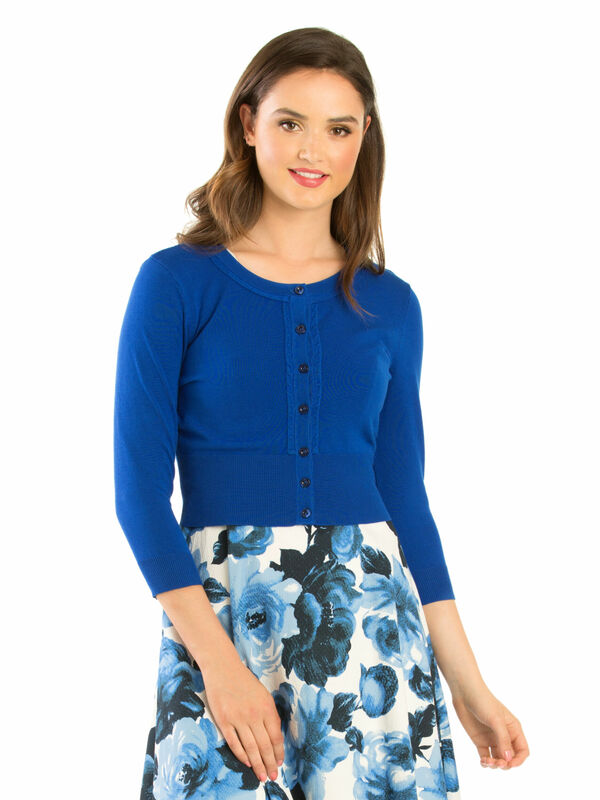 Chessie 3/4 Sleeve Cardi https://www.review-australia.com/asia/chessie-3-4-sleeve-cardi-royal-blue/RE18KW085.REBLU034.html In a gorgeous Royal Blue, the Chessie 3/4 Sleeve Cardi is the pop of colour your wardrobe needs. Made from soft light-weight fabric with button-through detailing, this cardi can be paired with weekend summer dresses or an understated work outfit to achieve effortless chic. 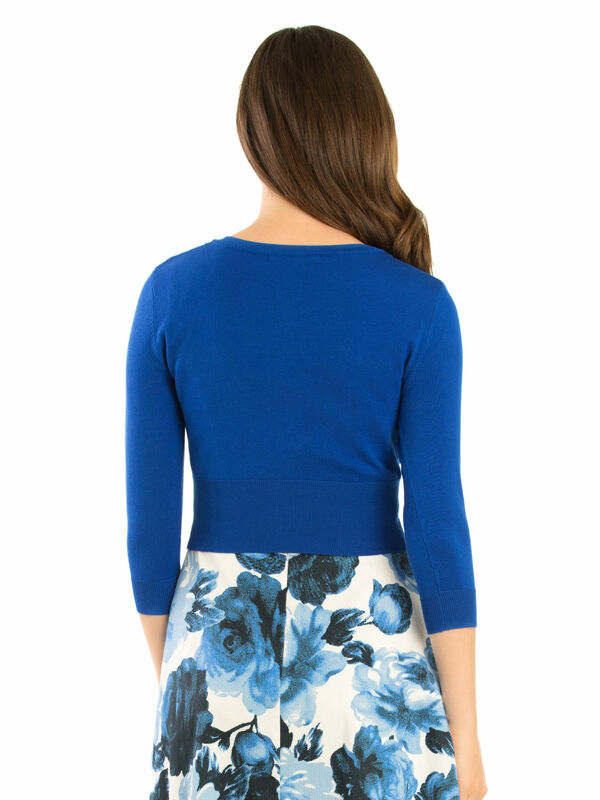 Worn with Miley Blue Rose dress and Beverley Shoes. 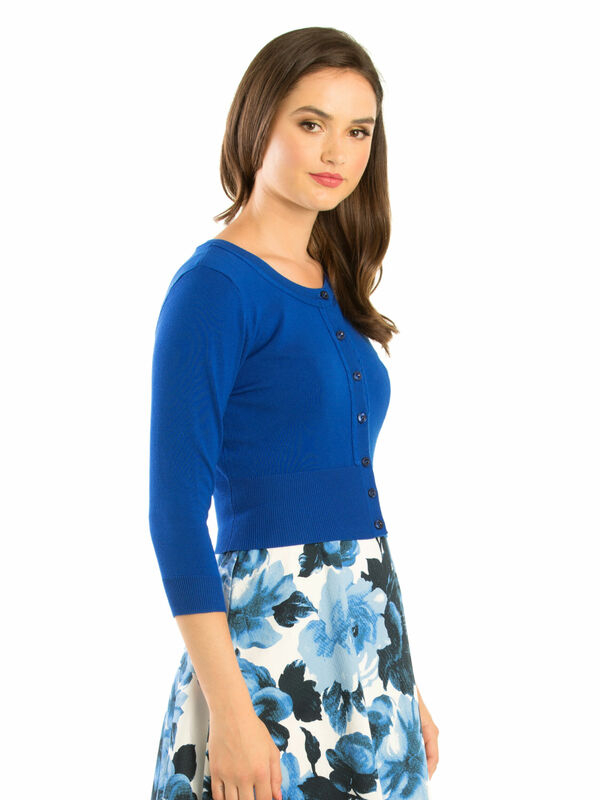 In a gorgeous Royal Blue, the Chessie 3/4 Sleeve Cardi is the pop of colour your wardrobe needs. Made from soft light-weight fabric with button-through detailing, this cardi can be paired with weekend summer dresses or an understated work outfit to achieve effortless chic.